704Games, NASCAR Team Properties' exclusive console simulation-style video game licensee, and Esports Arena Drive, North America's first mobile esports arena, will bring NASCAR Heat Champions to Daytona International Speedway during the DAYTONA 500 race weekend. All fans in attendance will have the chance to compete in the free NASCAR Heat 2 esports competition for prizes. The multi-day tournament will take place on Esports Arena Drive as the mobile esports arena makes its competition debut. 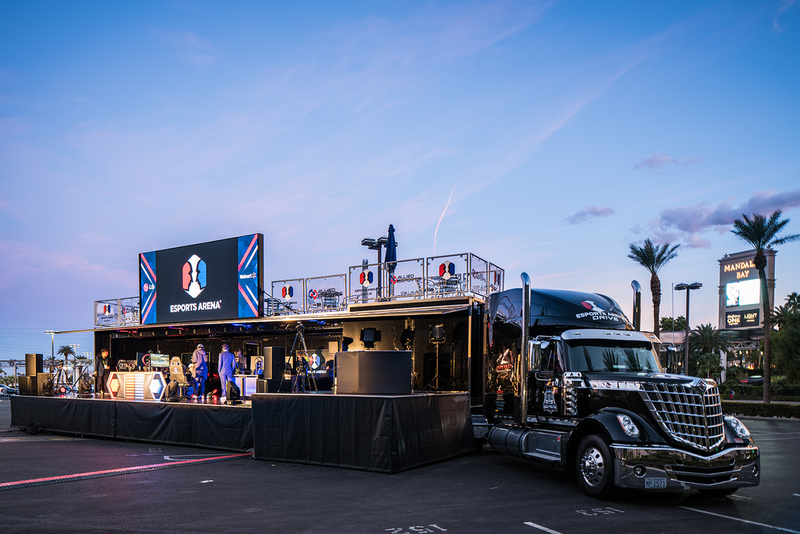 Unveiled in January during the annual Consumer Electronics Show in Las Vegas, the state-of-the-art, 80-foot, 18-wheel, 35-ton semi-trailer transforms with the push of a button into a self-contained competition stage and production studio. "NASCAR Heat Champions is a unique gaming tournament open to NASCAR and video game fans of all ages," said Ed Martin, President at 704Games. "Fans will be able to experience the excitement of NASCAR Heat 2 on a one-of-a-kind stage at the biggest race event of the year." "We are excited to have Esports Arena Drive make its debut at the iconic DAYTONA 500, one of the most popular fan events in sports," said Tyler Endres, CEO of Esports Arena. "Thanks to our partnership with 704Games, NASCAR Heat 2 fans will have the opportunity to compete and win prizes through a whole new experience at Daytona International Speedway." Following a day of open practice on Thursday, qualifying rounds will take place Friday and Saturday with a "last chance" qualifier running Sunday morning. Fifteen finalists will then face off on Sunday in a three-race final where a winner will be crowned. The full schedule of events can be found online. The NASCAR Heat Champions winner will receive an Xbox One S console, a VIP DAYTONA 500 experience, and more. Additional prizing, including copies of NASCAR Heat 2 with download codes for the new 2018 Season Update and items from 704Games and Daytona International Speedway, will be distributed throughout the tournament. Esports caster Bil "Jump" Carter (@Jump_) will host the tournament and the finals will be streamed live on Esports Arena's Twitch channel starting at 10 a.m. Pre-registration is not required for NASCAR Heat Champions. Esports Arena Drive will be located in the Midway between the Florida Hospital Injector and the Chevrolet Injector at Daytona International Speedway. The Midway at Daytona International Speedway opens at 10 a.m. on February 15 and 16 and 8 a.m. on February 17 and 18.